I have a “love/hate” relationship with the ocean. 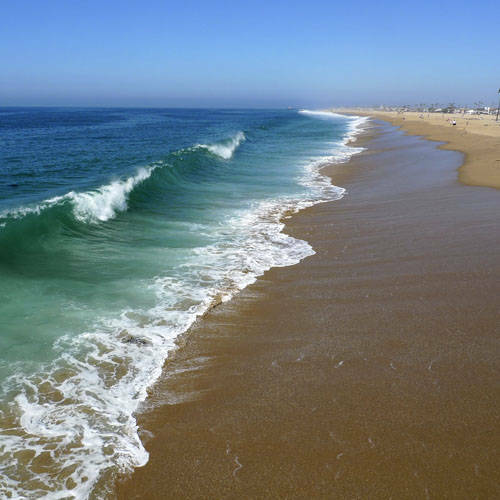 I find the beach a relaxing and enjoyable experience where the continual arrival of waves crashing against the continent soothes the soul and provides a reminder that there is constancy in the world. I hate swimming in the ocean. I have an irrational fear of deep water. Over the years I have become comfortable with bathtubs and swimming pools, but not with the briny deep. I think today’s students like to swim in the ocean.They are a pretty savvy bunch of folks.Through desktops, laptops, cell phones, 24/7 television, Facebook, Google, Twitter, and more, students today have access to more information in a week than we had throughout our entire K-12 experience. They are literally swimming in an ocean of information, and they rather enjoy the experience. As a matter of fact, they welcome… no, they invite… these opportunities into their lives. They readily jump into these informational waters without fear of what awaits them. They are accomplished at “surfing.” The problem they face is navigating a path through the foam, to find the reliable facts, formulas, essays, reports, charts, and graphs that will contribute to their understanding of the world and that will serve their needs. That is where we need to “jump in” with them…. not into the water, but into the problem. Most students do not need our help FINDING information, they need our help SORTING THROUGH the information. They surf this vast ocean of information, but have little context for their results. Our job as teachers of today’s generation should be to provide them the tools they need to contextualize their searches, evaluate their data, synthesize their results and communicate their conclusions. We need to stop pouring more water into the ocean, and start providing a method for navigating the crowded seas. Thinking critically is the tool that works the best. The only problem with this is that people think differently in different disciplines. As Sam Weinburg clearly demonstrates in his landmark work, Historical Thinking and Other Unnatural Acts…, historians and mathematicians do not approach problems in the same way; neither do physisists and artists, writers and watchmakers, or teachers and technicians. This is a good thing!!! Our only difficulty is that the Common Core narrows critical thinking into a more standardized approach. We do not need more standardization. We need methods, approaches, techniques and applications that will allow for differentiation in discipline, and still provide the compass students need to guide their way. What sort of navigational tools do you use in your daily practice? Are you using materials that engage students? Are you allowing them to learn from their mistakes? Or, are you delivering information via worksheets, “end-of-chapter” questions, bold-typeface vocabularies, and “right answer” quizzes and tests? Just exactly what are you doing in class? Have you found a great way to engage today’s generation? We would love to hear from you. Let us know and we’ll pass it along to the rest of the world. What engages your students? What teaches your students? What engages and excites YOU? 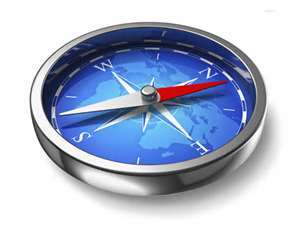 What kind of 21st century compass are you teaching your students to use?